My first exposure to American Beach Comedies came via a two-part episode of 90s sitcom Blossom (eps 4.19-20), in which the heroine fell asleep while watching a movie on TV, and dreamed her family and friends into a spoof of the popular Sixties sub-genre. At the time I didn’t realise it *was* a spoof, and just enjoyed it as a strange little reverie in its own right (I have particularly happy memories of seeing Blossom’s BFF ‘Six’ dressed as a faux-Beatnik, complete with black sweater, beret and bongos… did that really happen?). Then a few years later, during my time at university, one of the TV channels started showing the original “Beach Party” movies in a late-night, post-pub-closing timeslot, and I spent many happy, slightly tipsy hours watching clean-cut teens getting up to all sorts of wacky, wholesome hi-jinks on flawless sandy beaches, while being harassed by cartoonish bikers, and randomly bumping into cameo-ing legends like Paul Lynde, Vincent Price and Peter Lorre. 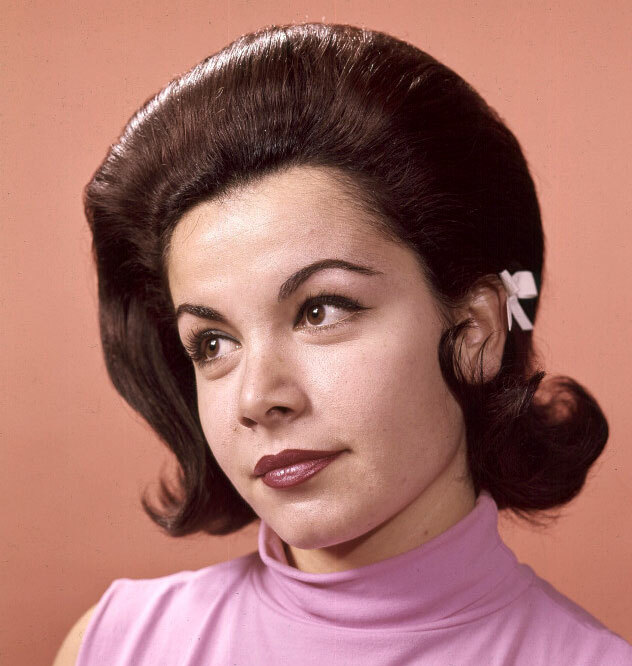 Sadly the leading lady of those movies, Annette Funicello, died yesterday, at the age of 70. She first came to fame as a child performer on the original Mickey Mouse Club TV show, which featured songs and skits performed by the resident “Mouseketeers”, as well as informative travelogue pieces and serialised dramas. Funicello was one of the most popular cast members throughout her time on the series, and made a remarkably smooth transition into teen pop-singer stardom, before branching out into movies, alongside frequent co-star Frankie Avalon. Although I haven’t seen any of their movies in a long while, I do have a couple of her albums, and they’re perfect for playing in the summer months when I have my windows open and don’t want to blast out anything too sweary or offensive. Just good, sweet, goofy fun to keep your spirits up, and your toes tapping! This entry was posted in Rants about Films, Rants about TV and tagged Annette Funicello, Beach Party, Blossom, Mickey Mouse Club, Mouseketeers. Bookmark the permalink.